From The C.I.A., due December 21 on In the Red. Their previous single focused on carnal comfort as a balm for existential crisis, while this new one suggests the pointlessness of getting wasted. Fair enough, but hey, whatever gets you through the night. The C.I.A. 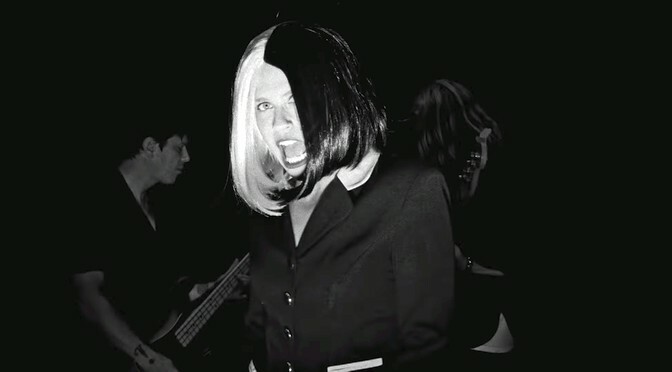 is Denée Segall on vocals, her husband Ty on bass, Emmett Kelly on another bass, and R.E. Carlos on drums. No guitar. And no nonsense. These guys aren’t messing around. The C.I.A. : web, amazon, apple, spotify, wiki. 2012: MP3: New songs from Fiona Apple and Liz Phair: Do you believe in third chances?